PCE The Legendary Axe (USA) in 13:49.72 by FuzZerd. The Legendary Axe is about a man, his axe, an evil cult leader, and its human sacrifice. 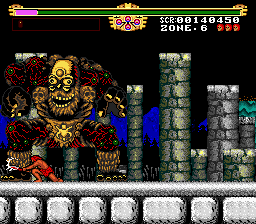 your goal in this game is to rescue your childhood friend Flare from the evil Jagu.